Converting commuter railways to busways could save passengers 40% in fares, according to a report published by the Institute of Economic Affairs (IEA). 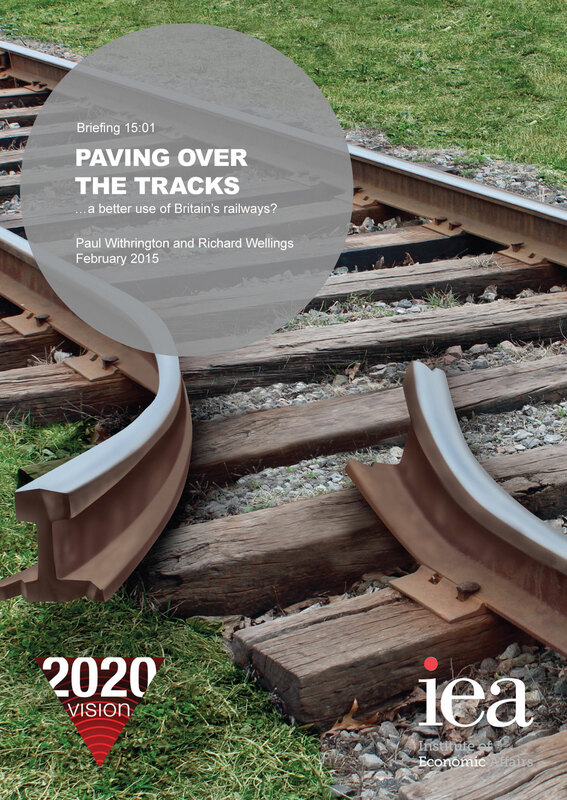 The document, ‘Paving over the tracks: a better use of Britain’s railways?’, claims the reluctance of policy makers to consider more efficient forms of public transport has led to expensive fares and ‘sardine-like conditions’ for commuters across the country. Authored by Paul Withrington and Richard Wellings, the report says the success of the Bus Rapid Transit schemes in Latin America and Asia illustrates that viable high capacity transport alternatives exist and at a fraction of the cost of railways, subways or trams. The report points out that current government spending on the rail network costs the taxpayer £6bn a year and claims it benefits rail companies at the expense of passengers, who, it says, often receive poor value for money. It reports that heavy subsidies, rigid state control and powerful interest groups have distorted the industry. It claims that this results in alternative modes of transport being ignored despite what it describes as their often huge potential for improved capacity and cost reduction. The IEA says the transport sector currently lags behind other industries, which have been improved through the exploitation of more efficient technologies. The organisation insists that if politicians are serious about increasing capacity on commuter routes and reducing fares, they should embrace innovative and low cost alternatives, with the aim of relinquishing control over the sector altogether. It believes moving towards a more flexible, market-led approach would also enable the phasing out of government support, which it says will make the taxpayer ‘vastly better off’. IEA’s report claims introducing busways would benefit passengers with better use of capacity in the transport network. Excluding those travelling on the underground, commuter railways transport a quarter of a million passengers into London during the morning peak hour, many of whom have to stand during their journey. It claims 150 express coaches, each seating 75 individuals would be able to carry the same number of commuters while occupying one seventh of the capacity of a single-lane busway, of a similar width to that required by a train. According to the report, travel times would be the same, if not shorter through the creation of a busway system. For shorter journeys especially, it says express coaches would deliver travel speeds similar to that of trains as well as operating more frequently. Door-to-door time savings offered by busways would reduce journey times further, as direct services could operate from suburbs and villages not on the rail network. The report also claims converting commuter railways into busways would bring about cheaper fares for passengers, as operating and infrastructure costs would be much lower. Although it admits the initial cost of conversion would be substantial, it stressed that adding new rail capacity and continuing rail subsidies would be far more expensive. The report suggests that transport spending has been misallocated on a grand scale. For instance, the support received by the rail industry is disproportional to its importance to travellers. The document stressed that individuals in the UK are far more likely to travel by car than train, with 90% of passengers and 70% of freight traffic carried by roads. Despite this disparity, state funding of railways is just 30% lower than that spent on roads. 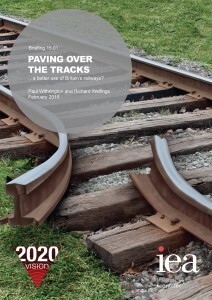 The report also highlights that approximately 40% of spending on the heavy rail network is government funded. This ‘generous’ subsidisation of the rail industry, it claims, has fuelled special interest groups and hampered efforts to embrace innovative alternatives in public transport. It claims the result has been policy decisions that have reflected political priorities rather than economic logic, causing viable alternatives to rail transport to be disregarded or ignored. Go to www.iea.org.uk/ to download the full report.